We were at a friends house for thanksgiving in the background with 20 people including kids. i initially had something catch my eye in the south east sky around 1,000 feet at an angle of around 50 degrees to the ground. 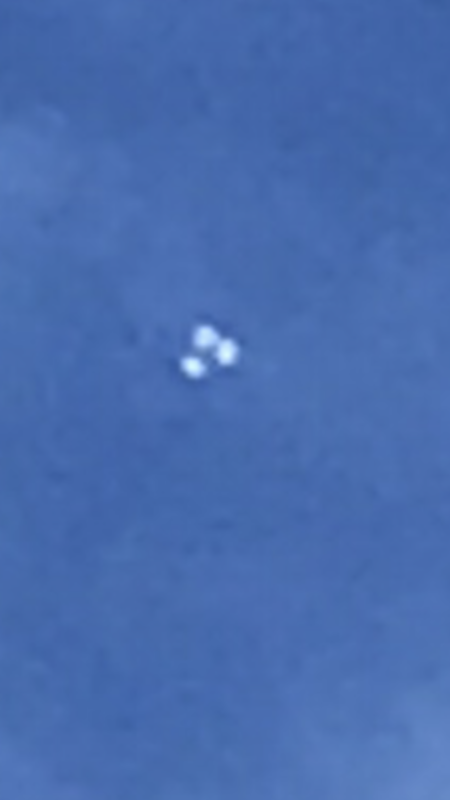 we initially thought it was maybe some silver balloons as we could see three round shiny objects. it became apparent that it was actually one object triangular in shape with three bright lights. the object hovered and moved around slowly making no sound at all. 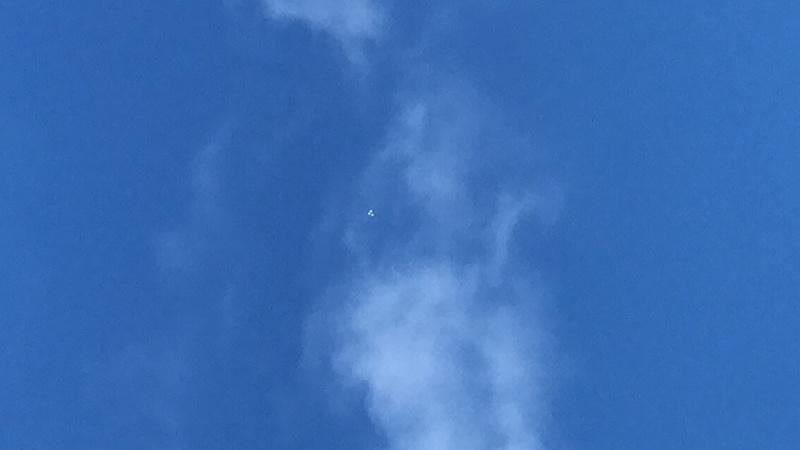 we could see this object move behind a cloud and then back again. it began to climb to around 2,000 plus feet. we thought maybe it was a drione but the object was much larger than any drone i’ve seen and was metallic. we did not observe any strobe pattern or flashing lights just the three solid lights which did increase and decrease in intensity. i did manage to capture a couple of still shots and it can be seen that this is clearly a triangular shakes object with 3 equally spaced bright white lights. 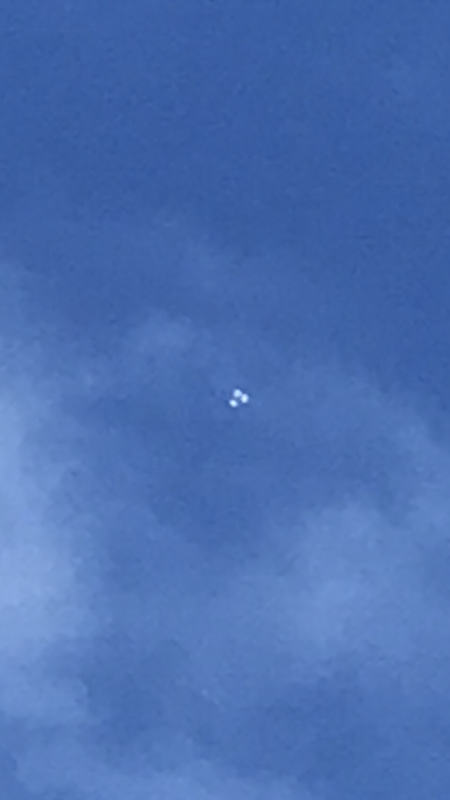 we watched this object for around 30 minutes until it climbed to 3,000 feet and above and made its way into the south east sky. during its movement it appeared that this object was moving and spinning slowly. i immediately began to film it with my iphone.